The marching show will feature music by John Meehan. 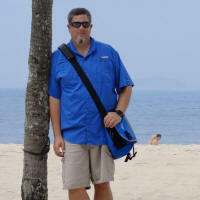 John Meehan is the arranger and writer for the DCI World Champion Drum Corps The Blue Devils. Mr. Bob Buckner is our drill designer. Thinking outside the box is a metaphor that means to think differently, unconventionally, or from a new perspective. This phrase often refers to novel or creative thinking. The Band of Blue will be different! The show will be in 4 sections: In the Opener Part 1, we hear the main theme and set the tone for the show. Our show will have futuristic overtone throughout with short sound clips and visual ideas dealing creative thinking. In Part 2, we present new and different voices and rythyms on our theme that really stretch your imagination. Listen for a wailing Park and Bark section where the Band of Blue puts a wall of sound right at you! In Part 3 we perform the beautiful chorale from Aaron Copland’s Appalachian Spring to re-set the tone of the show and really perform a work of art. In the Closer part 4 we start with a fugue that builds into a drum solo that features the front ensemble and the battery. 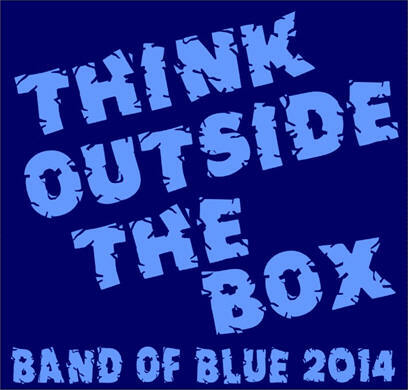 Look for a full blown drum feature and some very innovative drill and a new segment that will leave audiences saying “wow!” The Band of Blue then has a re-entry section that brings everything back together with a huge loud full ensemble push to the end! All of this is a very "different" approach to our half time production. To think outside the box is to look farther and to try not thinking of the obvious things, but to try thinking of the things beyond them. We hope you enjoy our show! 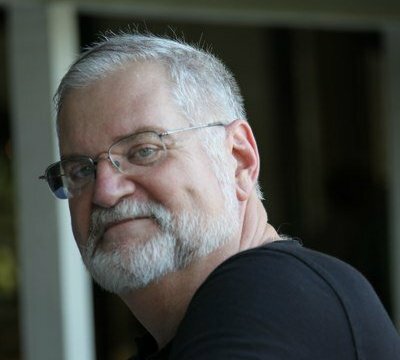 John M. Meehan has participated in the marching arts as a fan, marching member, instructor, arranger and composer since the age of 8 months. Joining the teaching staff of the Concord Blue Devils in 1994, John has since helped them to 5 D.C.I. Championships as well as 8 Jim Ott High Brass Awards. In 2004, John composed the music for the Bands Of America Grand National Finalist Ruben S. Ayala High School Marching Band. As an arranger, composer and clinician, John has worked with ensembles from around the world including the Yamato Drum & Bugle Corps from Japan and California, the Yokohama Scouts Drum & Bugle Corps from Japan, the Ooltewah High School Marching Band from Tennessee and the American Fork High School Marching Band from Utah. John is proudly endorsed by Sibelius and Dynasty USA and currently lives in Martinez, California with his loving wife and 2 daughters. Mr. Bob Buckner has distinguished himself in the field of music education and in the marching pageantry field. As director of the Sylva-Webster High School Band for thirteen years, he consistently produced championship performances in the marching, jazz, and concert areas. His "Marching Golden Eagles" were named National Field Show Champions at the Festival of States in St. Petersburg, Florida and were the 1979 Grand National Champions at the Bands of America Championships in Whitewater, Wisconsin. In 1979 Bob founded United Music Enterprises. This company has produced countless championship programs and provides consulting and design for all levels of high school and university bands. 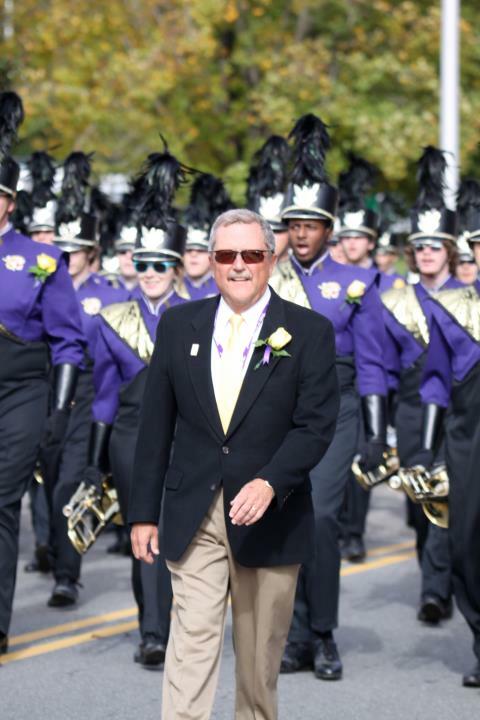 In addition to maintaining a successful business, Bob served as Director of Bands at East Tennessee State University from 1987 through 1991 and currently serves as director of athletic bands at Western Carolina University. Western Carolina University's Pride of the Mountains Marching Band is the 2009 recipient of the prestigious Sudler Trophy, the nation's highest and most-coveted award for college and university marching bands. Western Carolina is the first institution in the state of North Carolina and the first member of the Southern Conference selected for the award, which has been called the "Heisman Trophy" of the collegiate marching band world. Bob Buckner is a past member of the Bands of America Board of Advisors and the contest commission. Bob has served as an adjudicator, clinician, and guest conductor throughout the United States and Canada. His consulting associates include the United States Marine Drum and Bugle Corps, the Disney Corporation, and Pygraphics. He and his wife Donna reside in Waynesville, North Carolina. Bob was Director of Bands at Sylva-Webster High School in Sylva, North Carolina from 1966-1979. Highlights of his career there include the Golden Eagle Band's championships at the Festival of States in St. Petersburg , FL in 1972 and the 1979 Bands of America Championships. Mr. Buckner founded United Music Enterprises, a band consulting firm in 1979 and continues to provide championship shows for bands throughout the United States and Europe . He has served on the staff of the Spirit of Atlanta Drum and Bugle Corps, and was drill designer for Carolina Crown during their Division II Championship season in 1993. In addition, Mr. Buckner wrote for the United States Drum and Bugle Corps in Washington , D.C. for more than 20 years. In 1988 Mr. Buckner became Director of Bands at East Tennessee State University and remained there until coming to Western Carolina University in 1991. He has served on the Board of Advisors for Bands of America and has served as chairman of the North Carolina Bandmaster's Marching Band Committee. Mr. Buckner was selected for the "Paul A. Reid" Distinguished Service Award for Faculty in 2003. In March of 2005 he was recognized for his contributions to music education by being presented the "Lowell Mason Award" by the Music Educators National Conference. Later the same week he was inducted into the Bands of America Hall of Fame. Mr. Locklear is a 1973 graduate of Jacksonville (AL) State University. He was a high school band director for twenty nine years and is now the owner of Bill Locklear Custom Music L.L.C.. BLCM composes and arranges music for marching bands, concert bands, jazz ensembles for high school, and college and professional bands all over the United States. The 1996 Atlanta Olympics Band commissioned Mr. Locklear for a number of compositions and arrangements, including the band's theme song, Pinnacle. Additionally, he arranged music for the Atlanta Braves' homecoming party following the 1992 World Series. BCLM's list of high school clients includes many state marching band finalists and champions as well as BOA regional and national finalists. Check out the Clients page for a partial list. Formerly associated with Hal Leonard Publications, Milwaukee, WI, and Bill is currently associated with Arrangers Publishing Company in Nashville, TN. Having served as an adjudicator, clinician and guest conductor for over twenty years throughout the United States, Mr. Locklear is a certified Chief Judge for the Georgia Music Educators' Association. Previously, he performed as a professional bassist for over two decades and appeared with such diverse entertainers as Bob Hope, Frankie Avalon, Rita Moreno, Buddy Grecco, Rich Little, Carol Channing, Kate Smith, Kay Starr and jazz musicians Clark Terry, Joe Morello, Jimmy Heath, Joe Jones and Slide Hampton. Mr. Locklear's honors and awards include selection as STAR Teacher for the Effingham County, GA school system in 1978 and 1981; Award of Merit from the College Band Directors National Association in 1983; selection to "Who's Who Among American Teachers" in 1992 and 1995; Certificate of Appreciation from the Georgia Music Educators Association in 1991 and 1999; and, the Service Award from District One Georgia Music Educators Association in 1991. Currently, Mr. Locklear is a member of ASCAP (American Society of Composers, Authors and Publishers), National Band Association, Music Educators National Conference, Georgia Music Educators Association and Phi Mu Alpha Sinfonia. He served as the Georgia Music Educators Association District One Festival Chairman for fifteen years. He is also a member, composer/arranger and occasional conductor of the Northwest Georgia Winds community band. Mr. Locklear resides in Rome, Georgia with his wife Dora, 7 year old son Joseph, and 5 year old daughter Kathryn.